Welcome to Harman Landscaping, Inc.
Harman Landscaping, Inc. is one of the most cost-effective and professional landscaping companies available in the Cape Fear region. Our service area includes Topsail Island, Hampstead, Wilmington, Carolina Beach and Wrightsville Beach. 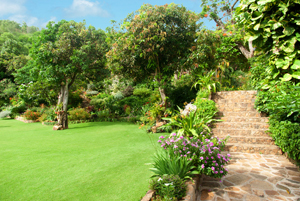 We offer over 13 years of experience to design, create and maintain beautiful landscapes for your home or business. We work directly with each client to create something new and different that captures the clients taste. No matter how big or small your need…Harman Landscaping, Inc. offers custom landscapes that provide quality and attention to detail.